A Moroccan court acquitted two women who faced charges of “gross indecency” for wearing dresses in public, their lawyer said Monday, after their case sparked a national outcry. “This is a victory not only for these two women but for all members of civil society who mobilized,” said defense attorney Houcine Bekkar Sbai. Fouzia Assouli, head of the LDDF women’s rights organization, confirmed the acquittals handed down by a court in the southern city of Agadir. “This acquittal is positive and shows that wearing this type of clothing (a dress) is not a crime,” Assouli told AFP. Merchants accused them of wearing flimsy and “immoral” clothes, surrounded and heckled them, media reported at the time. Police intervened to wrest them away from the angry crowd but then drove them to a police station where they were charged with gross indecency. Article 483 of Morocco’s penal code states that anyone found guilty of committing an act of “public obscenity” such as “gross indecency” can be jailed for between a month and two years. 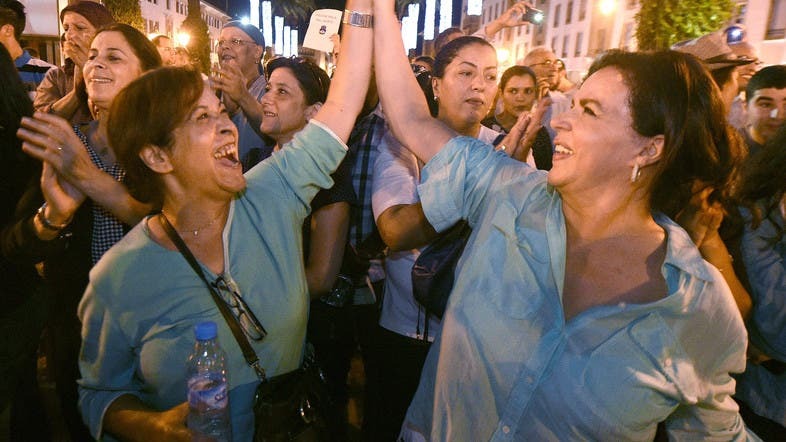 Their case sparked an outcry in Morocco, where supporters of the two women held rallies denouncing their arrest and demanding their release, requests echoed in a petition that circulated online. Hundreds of lawyers also offered to defend them while rights organizations kept a close tab on the proceedings. Assouli said that Monday’s verdict should prompt lawmakers to revise Article 483 of the penal code and adopt a law criminalizing violence against women. Earlier this month, police arrested of two men “accused of aggressing the women.” They have been referred to trial and could face prison terms from one month to two years if found guilty.